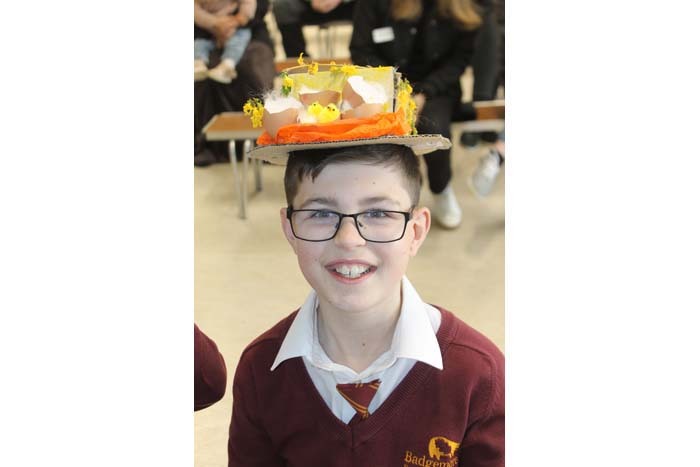 The children at Badgemore School were very egg-cited on Friday afternoon as it was the last day of school before they broke up for the Easter holidays and many of the children had made Easter bonnets for the annual competition. 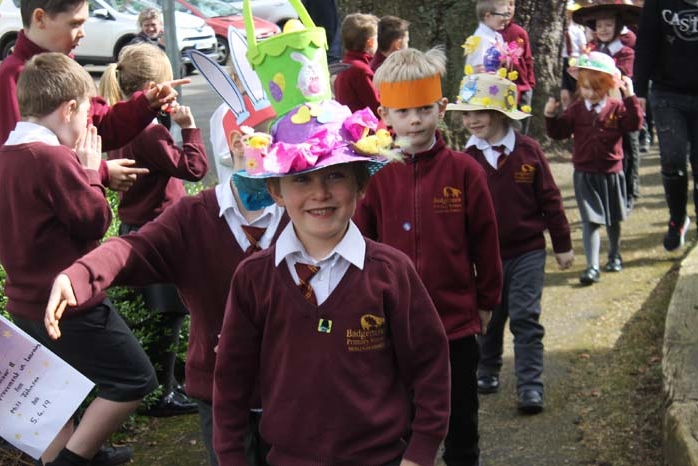 There were many superb creative ideas which saw hats decorated with chicks, bunnies, lambs, flowers, bees and feathers plus others which were made up of soft toys all balanced on top of each other, rabbit heads and a large fried egg! 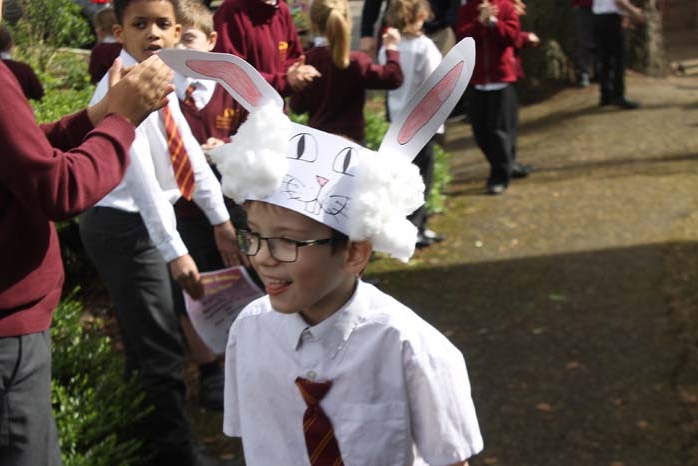 After a parade outside in front of parents, our Editor, Michaela Clarke had the honour and the difficult job of choosing the winners. 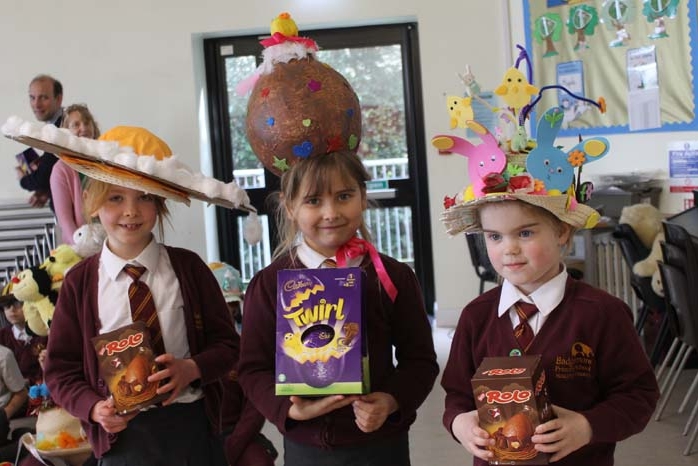 In Key Stage 1, the winner was Isla with her enormous chocolate egg which was made from paper mache, second was Jemima and third was Zara with her fried egg. 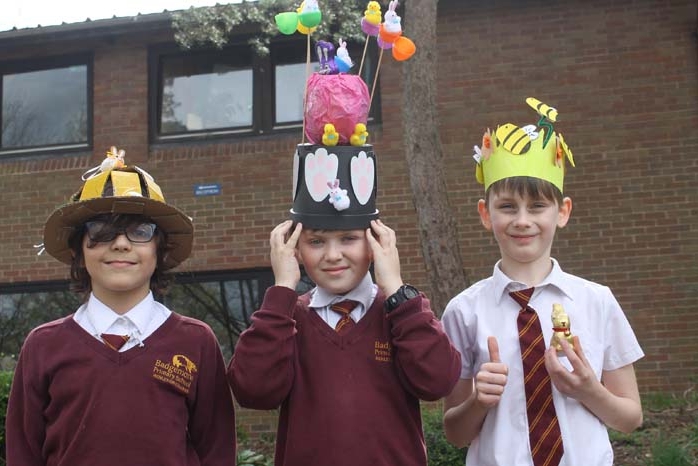 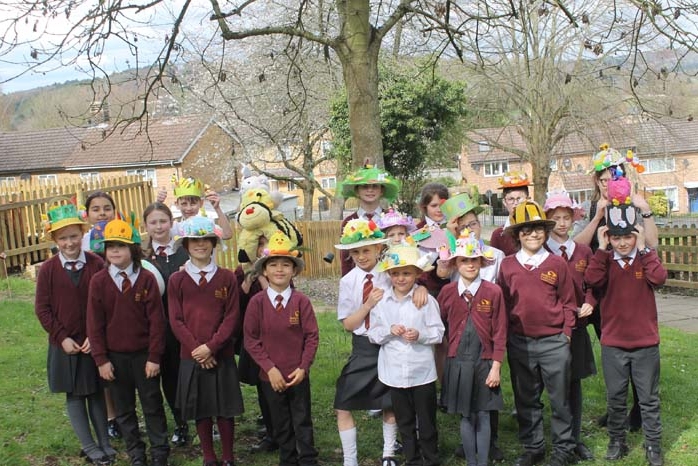 In Key Stage 2, the winner was Jamie with this flower pot hat, Oliver with his bee inspired hat was second and Hugo was third with a hat he made from scratch decorated with bunnies and chicks. 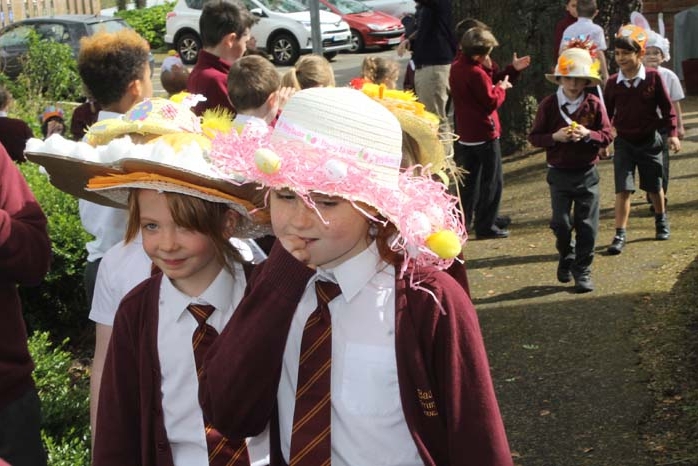 Prizes were given by Friends of Badgemore which included a chocolate lolly for every pupil who entered and Easter eggs for the winners and runners-up. 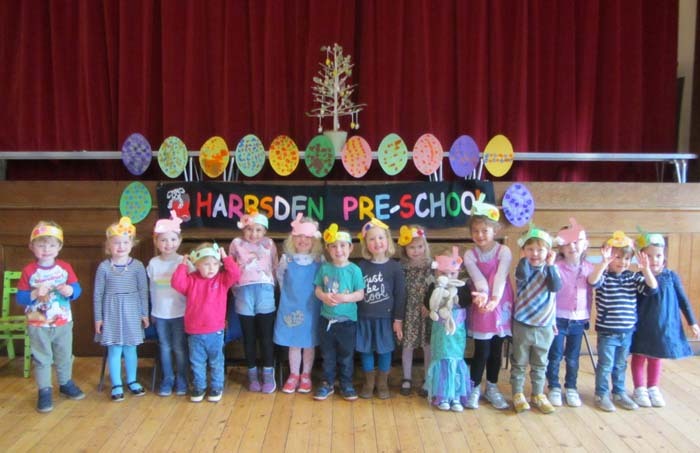 Harpsden Pre-School celebrated Easter when the children performed some Easter themed songs to parents. 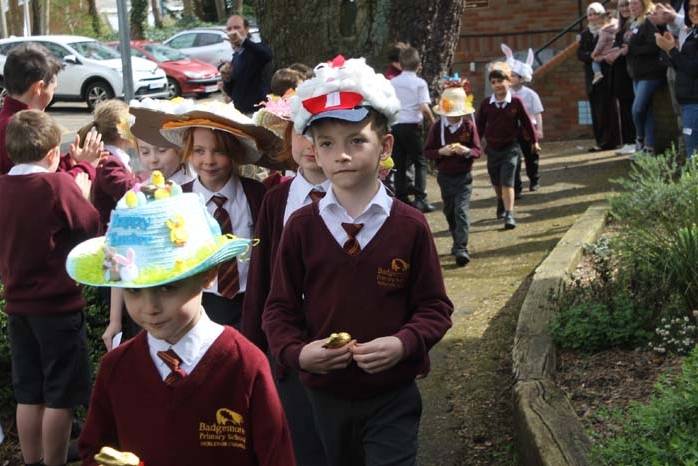 The children gave rousing renditions of Hot Cross Buns, Five Current Buns, Jack & Jill, Hey Diddle Diddle, Mary had a Little Lamb and Chick Chick Chick Chick Chicken. 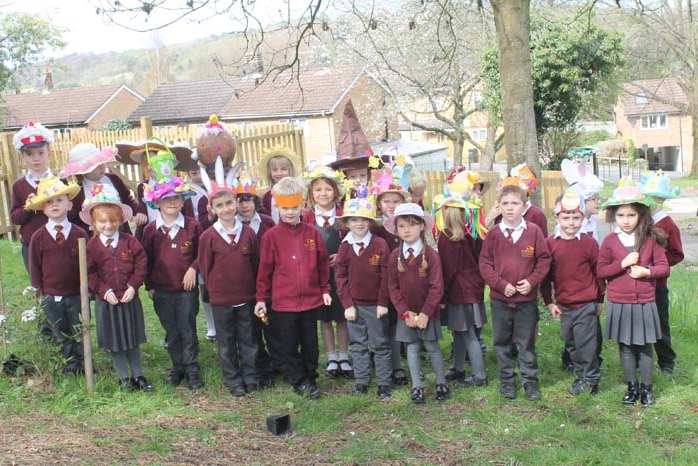 The staff were very proud of the lovely performance the children gave.